Lifestyle products with zeitgeist do not have to be expensive! 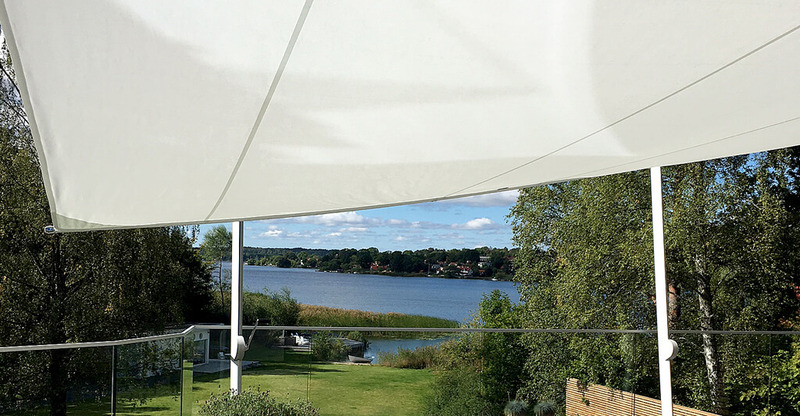 SOLIDAY now offers a trendy and cost-effective solution in the form of a ruffable sun sail. This type of sunscreen is not only very popular in indoor areas such as winter gardens, but also finds great outdoor appeal. 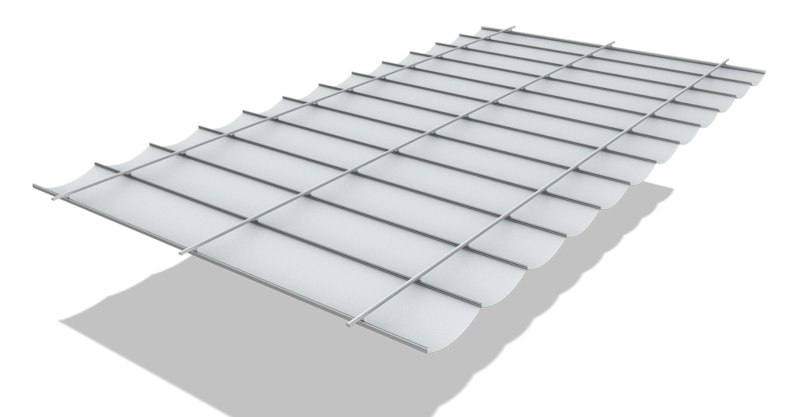 These sails, which are guided on rails or wire rope - individually suspended - can be completely or only partially gathered up and are available up to a width of max. 450 cm and a length of max. 800 cm. 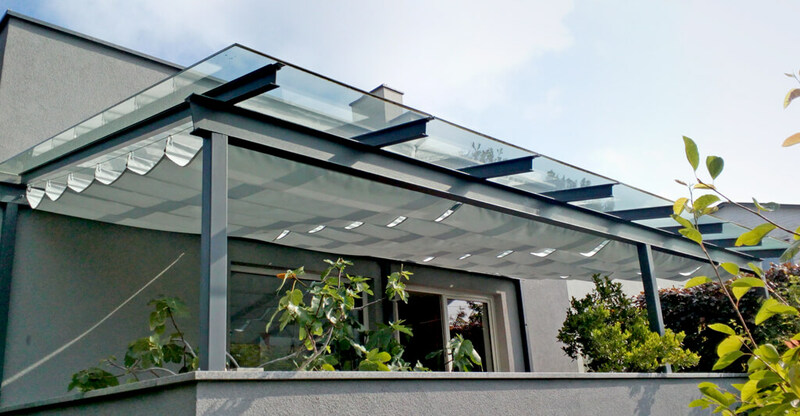 Due to the high-quality aluminum profiles and the guided rollers, a very high stability of the system is achieved. Unlike the wire rope guided variation, the suspension here has no slack, thereby allowing a stable and smooth handling of the sun sail. In addition, the system is not susceptible to wind and weather. 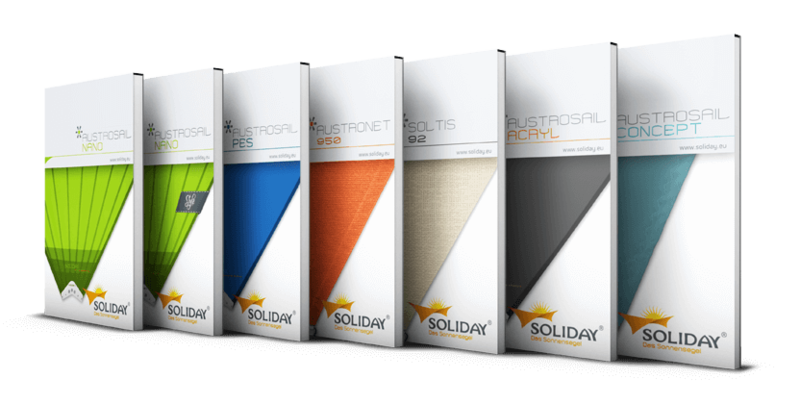 Unlike the traditional rope-tension sun sail, Soliday's ruffable sun sail offers an extremely rugged and high-quality sail suspension. 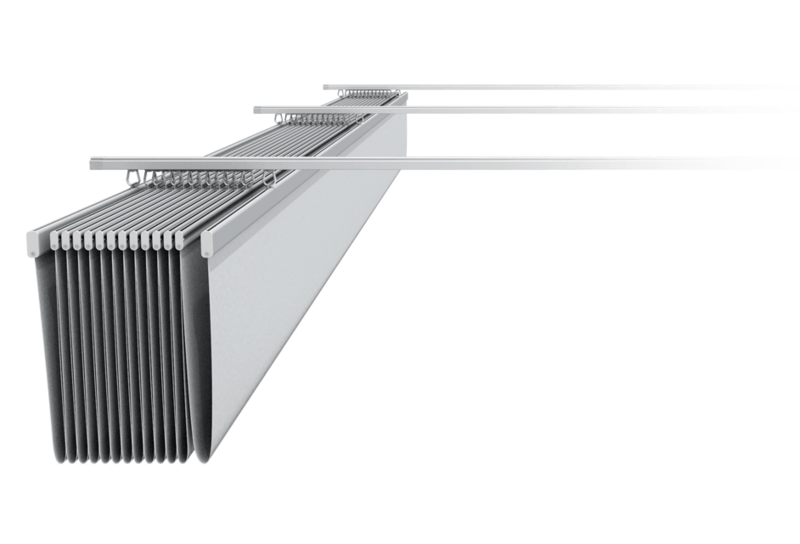 Due to the sophisticated tension of the 3mm thick wire rope, the system is very flexible, can be mounted almost anywhere and is not susceptible to wind and weather. 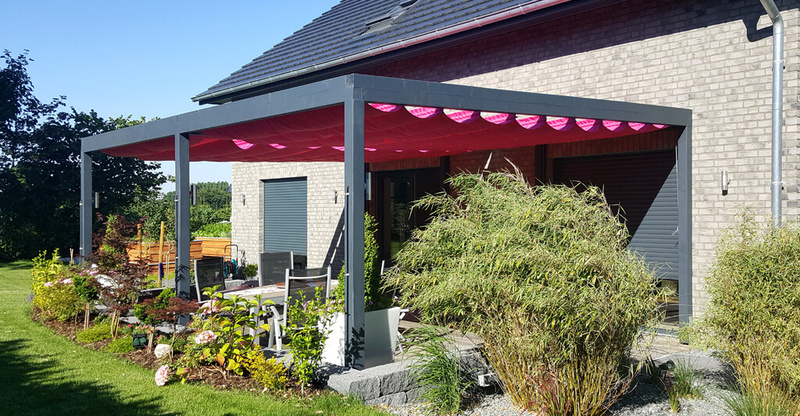 By combining a waterproof Soliday sun sail fabric and the special Raincut manufacture, the guided-on rails or wire rope Soliday RAFF-M is also ideal as a rain cover! 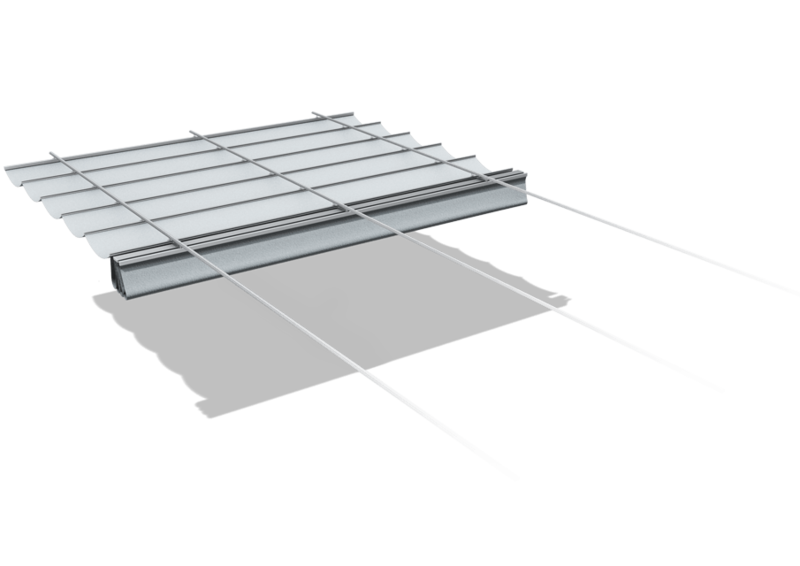 This type of manufacturing allows a controlled rain runoff on one side of the sun sail system and prevents rainwater from collecting on the sail. Bad weather is therefore no longer an issue for sun sailors. 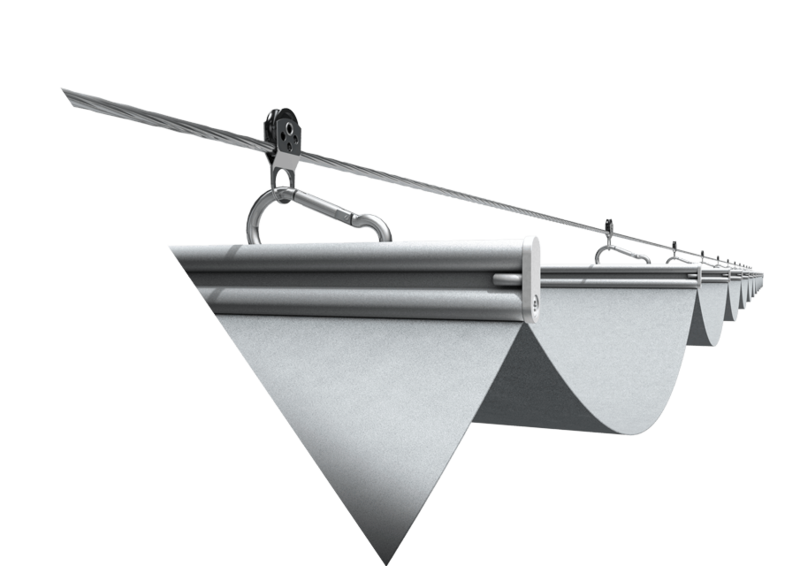 Soliday Raff-M sun sails in standard manufacturing are ideal as stylish sunscreens. The advantage of this type of manufacturing is that any available material can be used. 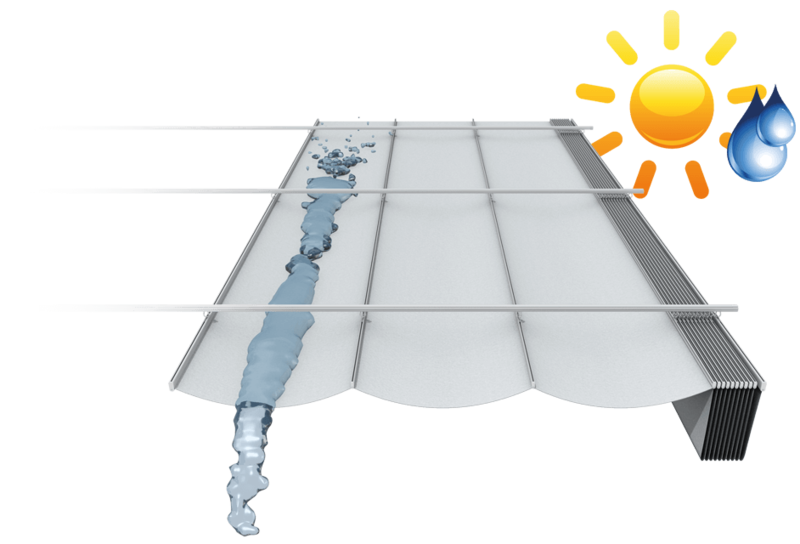 For example, with an air-permeable material it can be prevented that an unpleasant heat build-up occurs under the sail. Thus, every place under the sun becomes an airy place of relaxation. How much shade do you need? 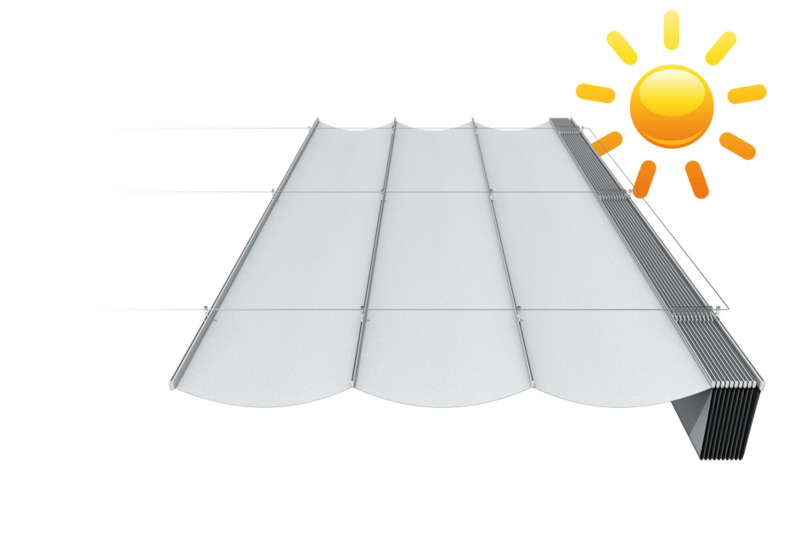 SOLIDAY's sun sail system allows you to adjust the shade continuously - similar to a convertible top. 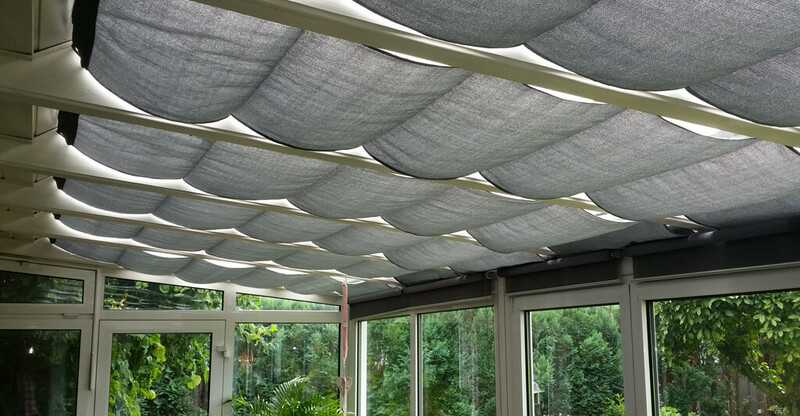 The sun sail is gently pulled into the desired position via castors, which are guided on rails or wire rope, and transforms every pergola into a protected oasis of well-being in the twinkling of an eye. 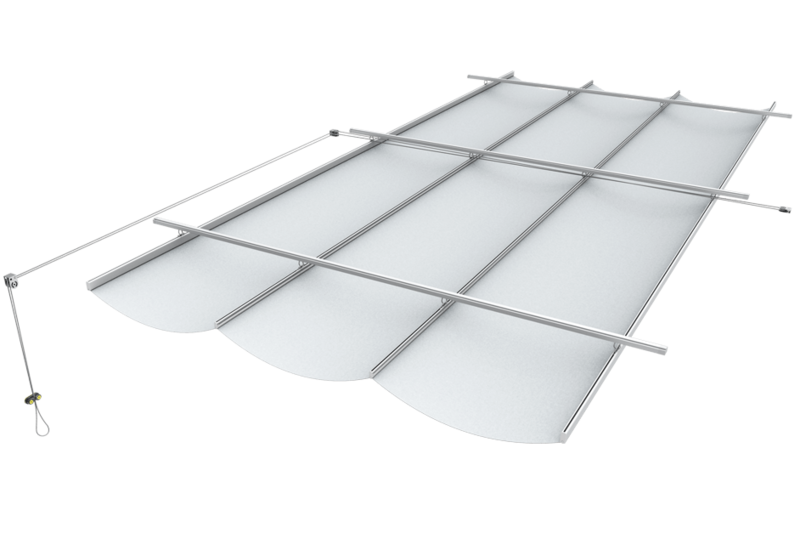 Thanks to a sturdy cable, the SOLIDAY sun sail can be easily pulled up and down by hand. 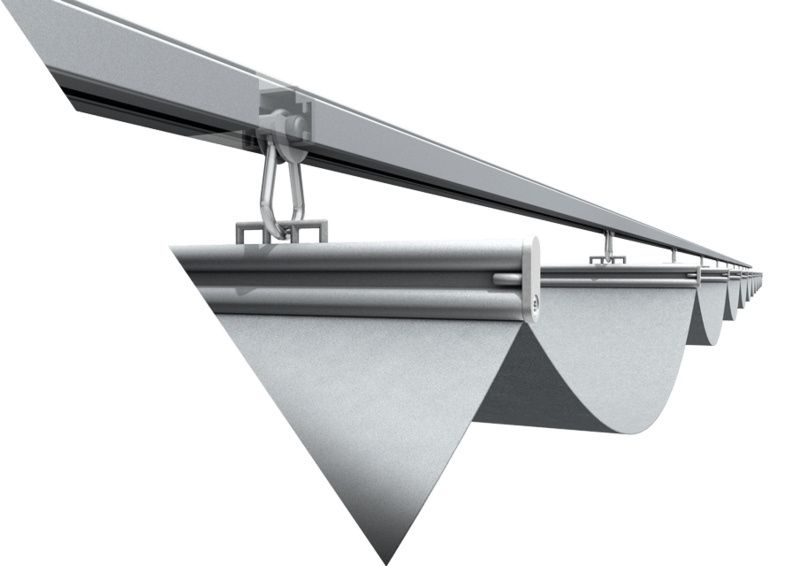 Due to the rollers, which are guided on rails or wire rope, the handling of the SOLIDAY RAFF-M is very smooth and requires only little effort. and must fulfill all claims according to the intended use. in great color variety, made for wind and weather.